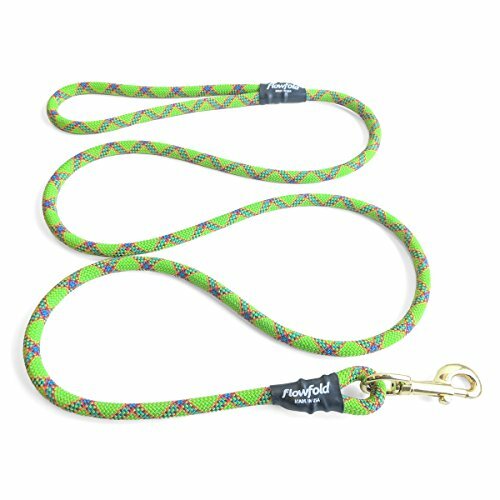 The Trailmate dog leash is made from reclaimed climbing rope. This rope is manufactured in the USA and inspected meticulously. Rope that does not meet standards for life safety applications is set aside, and that's where we come in. Perfectly suited for dog tethers, we have given this rope a second chance to see the summit and keep your pup safely within reach.